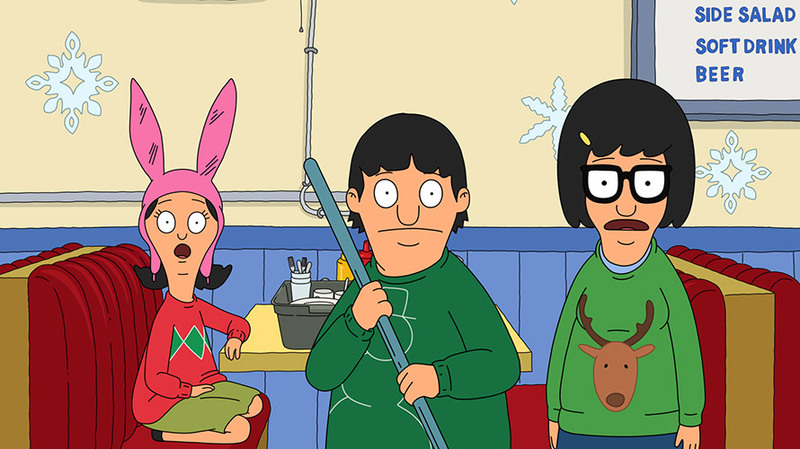 Bob's Burgers was one of the most popular shows streamed on Hulu this year. Like the infographic states, people were watching comedies more often in 2017 when compared to 2016. Viewers watched 36 percent more comedic movies, and people watched more top comedy shows like Parks and Recreation, Black-ish and Brooklyn Nine-Nine. The most watched movie was Daddy’s Home, which was viewed more than 12 million times in 2017 alone. South Park, on the other hand, was the most streamed TV show (about 12,000 years worth of the show; other popular shows include Bob’s Burgers, Rick & Morty and Law & Order SVU). About 47 percent of viewers who participate in Hulu’s live offerings watch both live and on-demand content every day. Viewing patterns on Hulu tend to hit an upswing around 6 p.m. to 7 p.m. EST and peak around 9 p.m. EST. And despite the rise of smartphones, people still prefer to watch content in their living rooms; 59 percent of Hulu viewers watch TV with a partner or spouse, 31 percent with children and another 30 percent with friends/other family members. Sunday is still the most popular night of the week to sit around and watch TV with people, proof some things stay the same as technology changes. For more information about Hulu’s research, click here.